I just spotted this on the Boden Clothing Facebook and loved it! 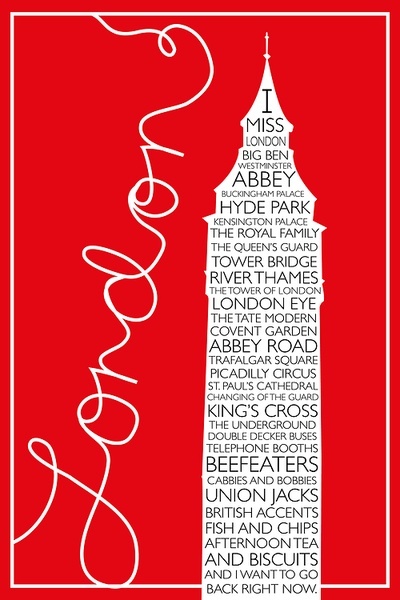 For those of you who miss London, what do you miss most of all? I really miss London cabbies (black cabs!) and good fish and chips! Posted on 27, February 2013, in Culture and tagged I miss London, London. Bookmark the permalink. 3 Comments. Sadly I miss a London that no longer exists – I miss the west end when it was possible to breath the air there and one didn’t get run over by a hoarde of buses and taxi cabs. But that London’s long gone. And so am I – I won’t return there again, I’m living the rural life now and am happy here.